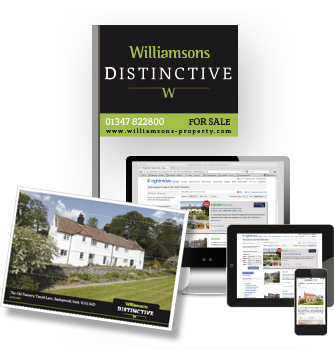 Williamsons Distinctive offer a bespoke service specially tailored to the requirements of country house sales. We have proven skills and local knowledge to promote Individual properties to reach regional and national audiences and buyers from outside the country. Our Distinctive marketing is designed specifically for prestige and individual properties which are unique or have unusual features or history. Our Distinctive brand helps these properties stand out in the market place as being different or special. Is your property Distinctive? Talk to Williamsons.